• Each of the two car horns can be used on their own. • Powerful dual horns blare out a warning that cannot be ignored. 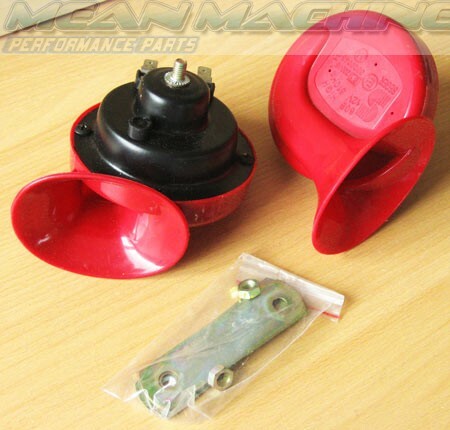 • These 12V car horns are easy to install. • The car horn can warn other cars and pedestrians and it makes your driving safer. • The horn can be wired up to a car alarm and used to sound when the security alarm is triggered. • Dual car sirens are weather and water resistant. • Attachment screws and brackets included. • Made of durable metal and plastic. • E approved where applicable. • Two horns supplying two frequencies.